With Brooklyn's wealth of cultural attractions, top-notch restaurants, and lush parks, it's no wonder that visitors are starting to take a bigger interest in this outer borough. But when it comes to actually staying in Brooklyn? Well, that's another story. Several factors contribute to travelers' general weariness around committing to Brooklyn as their home base. For example, suppose you plan on seeing sites in both Brooklyn and Manhattan: won't it be difficult shuttling back and forth between the two boroughs? How will you navigate the streets without a grid system? Where are the decent hotels, and are they close to the subway? 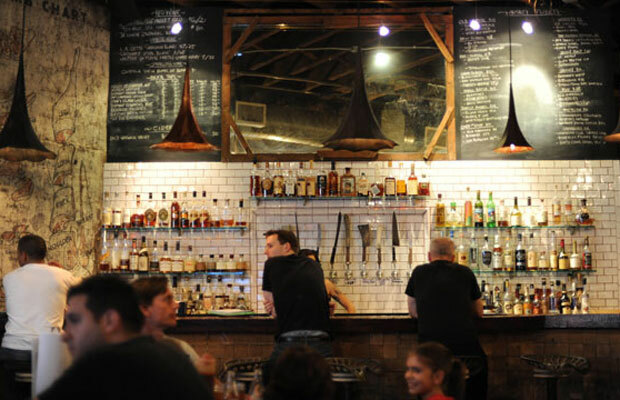 Much like Manhattan, Brooklyn is divided into smaller neighborhoods, some of which are more 'visitor-friendly' than others: in Williamsburg, you'll find trendy bars, restaurants, shops, and live music venues right at your fingertips. For many, this is an ideal introduction to Brooklyn, as it connects to lower Manhattan through the L subway line (Union Square is a ten-minute ride away), and though it doesn't exactly mirror Manhattan's hyper-logical grid system, the streets are indeed numbered; plus, you never have to walk more than fifteen minutes to access any of its attractions. Below, you'll find recommendations on where to sleep, what to eat, and how best to spend your time during a visit to NYC's best-loved outer borough. First-time visitors sometimes don't realize that they can get more space, quieter surroundings, sleeker design, and easy city access for the same money – or less – than they'd pay to stay in Times Square. In November, you'll pay between $200-$250 a night at 4-star hotels like the Sheraton Brooklyn, NU Hotel, and the King & Grove Williamsburg. Meanwhile, show up after the holidays for even further-reduced rates – $152 a night, for example, at King & Grove in January. 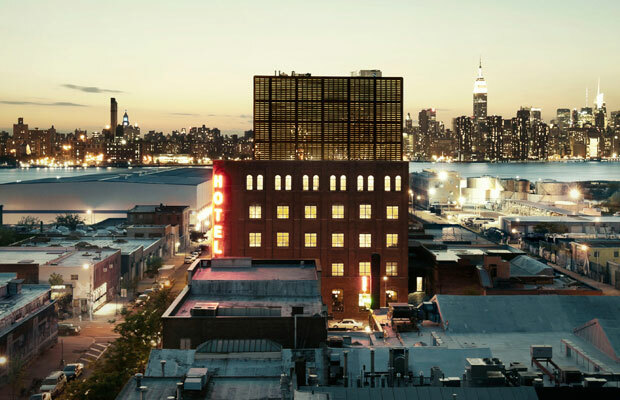 For more hotels in downtown Brooklyn, click here. New York's reputation as a foodie haven are well-founded, and in Brooklyn, you'll have your pick of the litter. Among Williamsburg's many stand-out eateries, a Venezuelan arepa bar called Caracas stands out for its signature corn-flour cakes stuffed with black beans, plantains, white cheese, and jalapenos. Around the corner from there is Fette Sau, an artisanal BBQ joint, where meat-lovers gather around medieval-style long wooden tables to enjoy hand-pulled pork, Berkshire sausage, brisket, and German potato salad. If Middle Eastern food is more up your alley, you'll find plenty to ogle over at Sahadi's, an iconic grocery store on Atlantic Avenue overflowing with jars of imported tahini, smoked fish, cous cous by the pound, fresh dates, homemade baklava, spices, coffee, and prepared foods like hummus and seafood salad. Meanwhile, nearby Smith Street is Brooklyn's answer to Restaurant Row, with literally dozens of different eateries, cocktail bars, cafes on each block. At the top of your list should be the colorful Cubana Cafe, which serves Cuban sandwiches, oven-roasted fish, and delicious elote (roasted corn with chipotle mayonnaise and cotilla cheese) against a backdrop of mosaic tiled floors, vintage cigar boxes lining the walls, and merengue music playing on the speakers. Up the street, another winning option is Battersby, which sources fresh-from-the-market ingredients in dishes like pappardelle with beef ragu and Crystal Valley chicken with stone fruit panzanella. Despite New York's endless array of entertainment options, it's a good idea to suss out which things fall under the "only in Brooklyn" category. For example, you can go shopping anywhere, but try wandering down Bedford Avenue's trail of funky boutique shops, record stores, and used bookstores without getting lured in by one window display or another – it's harder than it sounds! On weekends, browse handmade jewelry, one-of-a-kind vintage clothing, and oddball home decor at the weekly Artists & Fleas indoor market. For a taste of Brooklyn's many, many international cultural enclaves, head up to Greenpoint, where generations of immigrants have turned the area into a mini-Poland, complete with aromatic Polish bakeries, diners hawking pierogies and borscht, Polish-language bookstores, and even a European-style discotheque. Manhattan may have its share of outdoor cafes and scenic waterfront parks, but there's nowhere quite like Dumbo, which is named for its location at the foot of the Manhattan Bridge (actually, the Brooklyn Bridge entrance is located here too). The neighborhood is framed by one of New York's most attractive green spaces, Brooklyn Bridge Park, where frequent festivals and events are held during the summer. In the evening, walk up Jay Street to St. Anne's Warehouse, an award-winning performance venue that hosts a wide range of cutting-edge music, theater, and dance acts.